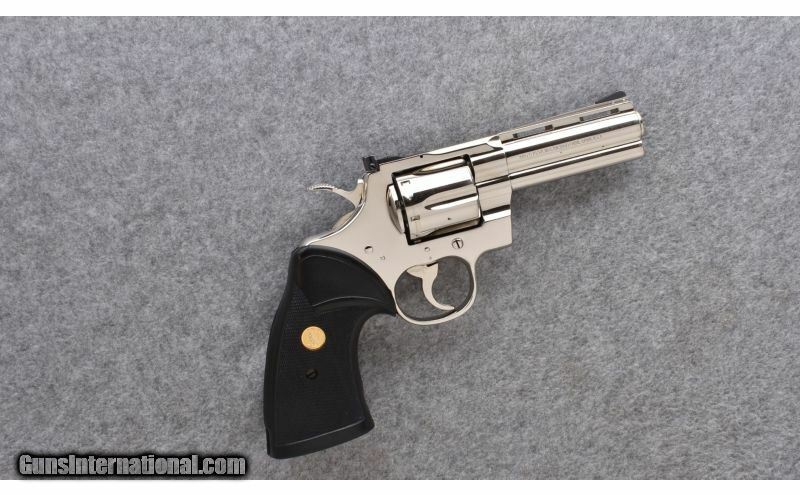 Colt ~ Python 4 in. 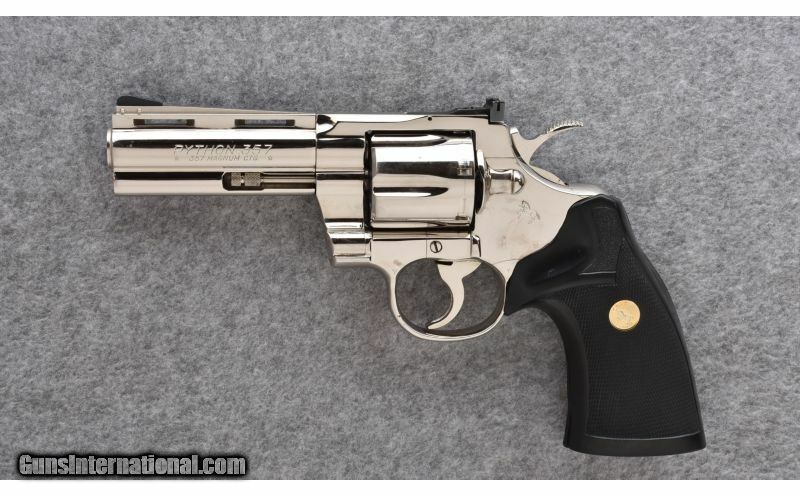 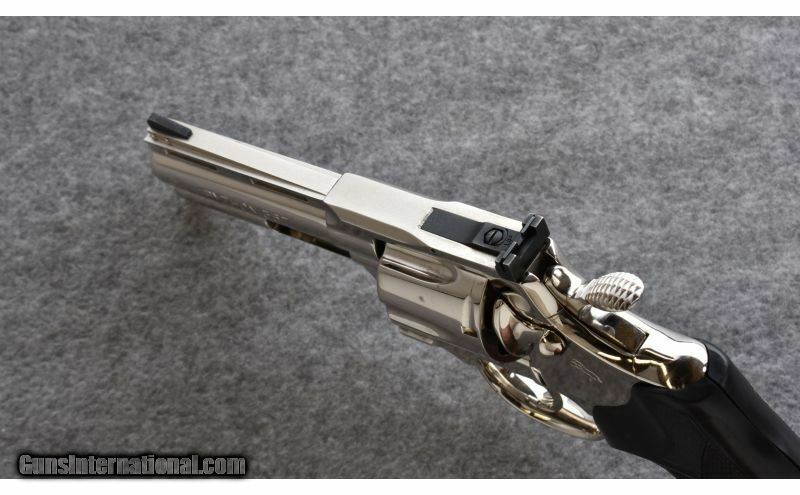 Polished Nickel ~ .357 Mag. 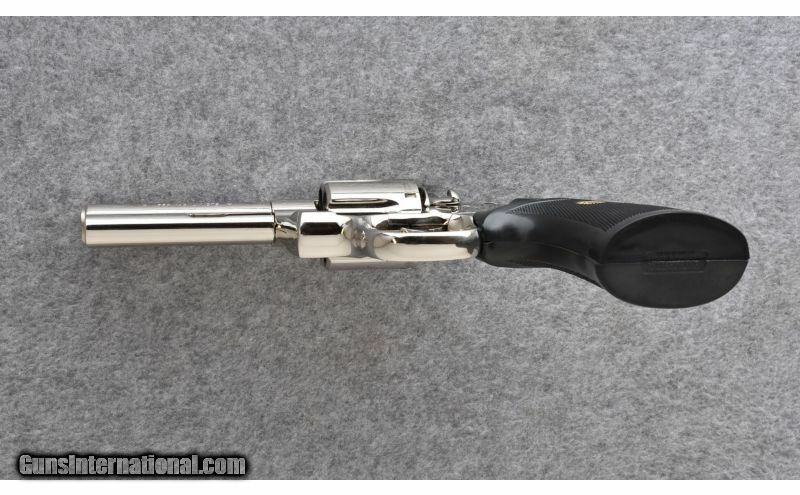 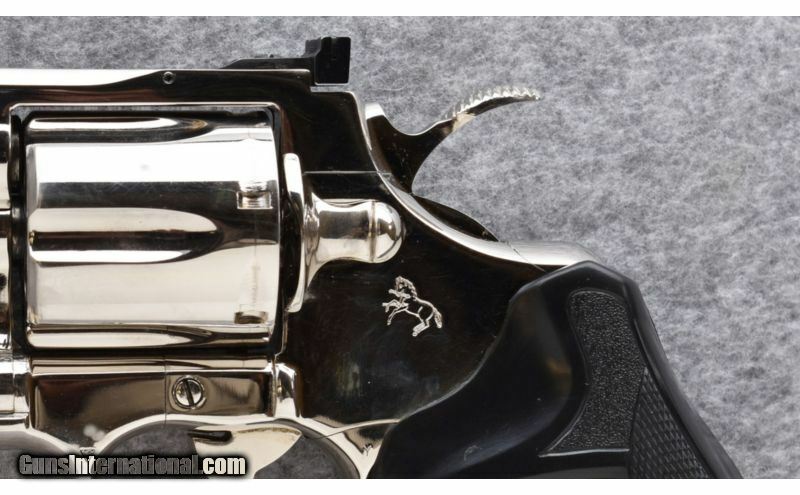 Metal Condition: Shows very good factory nickel finish with light swirls and handling marks common to nickeled guns.